Australian Silver proof sets was struck at the Royal Australian Mint since 2003. 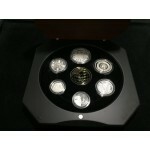 Housed in a Stylish presentation case these Silver proof Sets are a present for someone special. 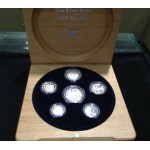 The 2008 Australian 6-Coin Silver Proof Set wsa sturck at the Royal Australian Mint. Housed .. 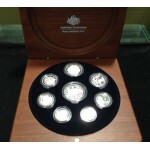 The 2007 Australian 6-Coin Silver Proof Set wsa sturck at the Royal Australian Mint. Housed .. 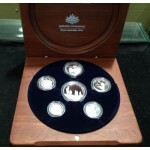 The 2006 Australian 8-Coin Silver Proof Set was struck to commemorate the 40th Anniversary o.. 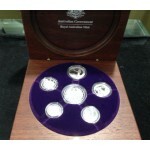 The 2005 AUSTRALIAN 6-COIN SILVER PROOF SET is struck at the Royal Australian Mint. Housed i..